Hello! Welcome to the Day 2 of Taylored Expressions April Sneak Peeks! We are releasing 10 new stamp sets and 9 new dies! All products will be released on Thursday, April 3, @ 7 AM PST. Today I am featuring a new stamp set, Wherever You Go, and a die set, Hovering By. 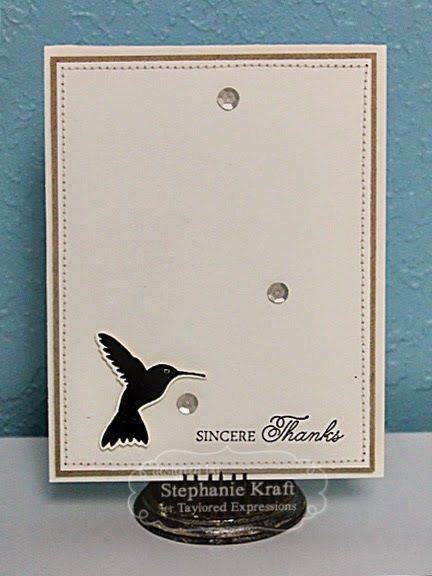 Both are very near and dear to my heart because I love hummingbirds and was thrilled when Taylor agreed to turn my concept into a stamp set (and of course, you must have coordinating dies!). I can't wait to play with this set more! 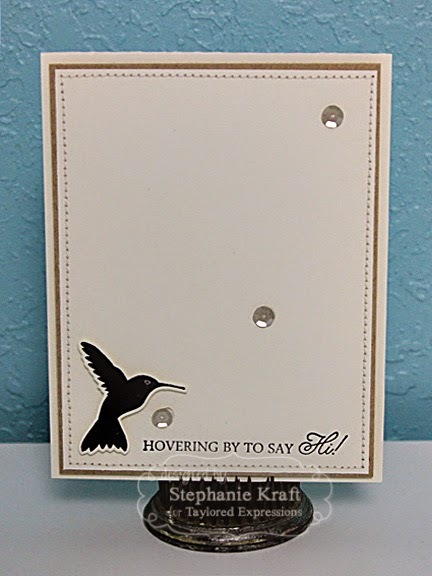 For today, I made a set of simple cards featuring each of the sentiments and one of the solid hummers. Accessories: Taylored Dies: Hovering By (TE), Sequins, Foam tape, Thread, Sewing machine. I think the whole set is absolutely gorgeous! What a great card set! I love the simple design. Simplicity at the finest. Good job. stunning set of cards. love the stitching and sequins. 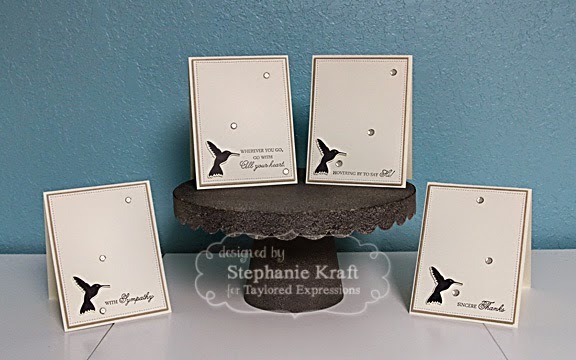 What a beautiful set of cards, Stephanie...simple yet sooo elegant!!!! Your sewing is just perfect and I love the addition of the sequins!!! 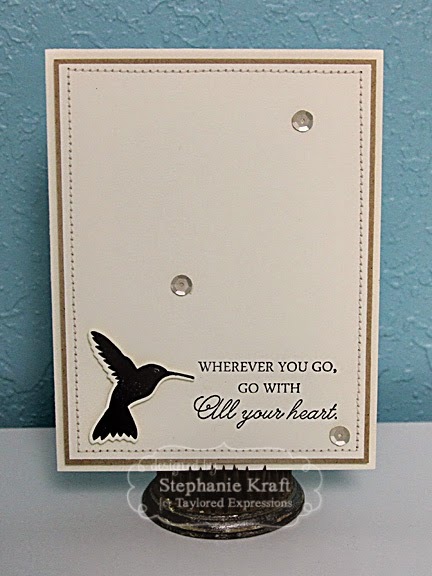 Beautiful clean and simple cards, Stephanie! Stephanie, this is a most beautiful set of cards. I love it. 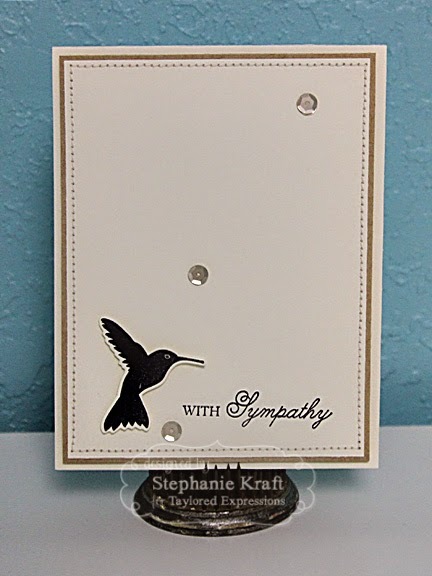 beautiful cards, Steph. Love the simplicity.